The Department of Health is expected to publish recommendations for the governance of NHS charities later this year. The department is carrying out a review into 290 charities attached to NHS trusts, which will look at whether they should have those trusts as their sole corporate trustee. About 268 have an NHS body as their sole trustee. In most cases, these organisations must seek permission from the Department of Health before they can make changes to their governance. Altogether, NHS charities have assets of around £2bn and annual incomes of £300m. Bodies with sole trustees control around a quarter of this money. The department launched the governance review last August after a report into NHS charity assets was made to the Treasury by an independent review group. The report concluded that changes to international accounting rules meant NHS charities should be considered to be "controlled" by their corporate trustees, and that from the financial year ending March 2015 charity assets should be recorded on their trustees’ balance sheets, providing the charity had sufficient assets to reach a "materiality threshold". Only a minority of NHS charities with corporate trustees are expected to have sufficient assets to meet this threshold, which will not be set at a particular level, but will be determined by NHS trusts and their auditors in consultation with charities. The Association of NHS Charities, the Charity Commission and a group of MPs have objected to charity assets appearing on public sector balance sheets. Ray Jones, head of accountancy policy at the commission, was one of several members of the Treasury review group that published a dissenting report saying that the group’s conclusions were incorrect. The DoH review could recommend that NHS charities be allowed to appointed independent people as their trustees. If this happened, the requirement for its assets to appear on an NHS trust balance sheet would no longer apply. 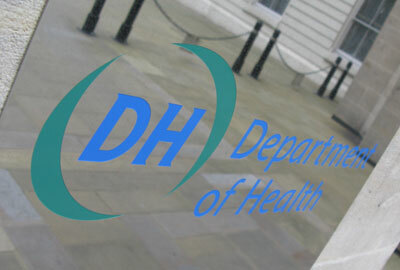 A spokeswoman for the DoH told Third Sector that the governance review would report later this year. "The review will cover all aspects of governance including streamlining regulation and allowing charities to appoint different trustees," she said. Amanda Witherall, director of the Association of NHS Charities, said she has been told the report will appear in June. "But I have a feeling it will be a set of outline recommendations which will go to consultation, rather than a final decision," she said. "We're hoping for flexibility. The DoH have been very sympathetic to the needs of NHS charities and their need to raise maximum funds." Nick Brooks, head of not for profit at accountants Kingston Smith, which audits several NHS charities, said larger NHS charities should appoint independent trustees. Brooks, who has campaigned against the proposals to consolidate charity assets onto public balance sheets, said: "The simple thing is just to get rid of corporate trustees. "If the same people sit on the trust board in the morning and the charity board in the afternoon, it has the potential to create a conflict of interest. "Even if the trustees are confident they can manage it, it's still questionable how it would appear to outside observers."